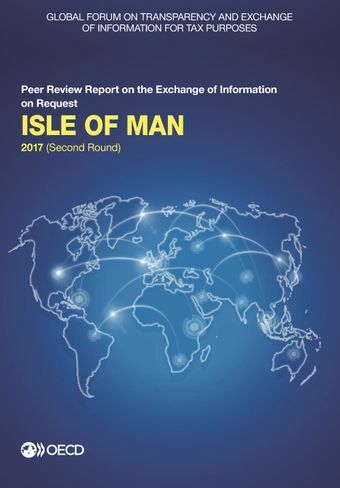 The Global Forum concluded that the Isle of Man continues to be Compliant with the international standard on transparency and exchange of information upon request. The Isle of Man’s legal framework for the availability of ownership, accounting, and banking information is in place and legal obligations are subject to proper oversight. The new obligation of availability of beneficial ownership information was previously primarily addressed under the anti-money laundering rules. To address the gap relating to entities that are not required to engage an anti-money laundering obliged service provider, the Isle of Man passed the Beneficial Ownership Act 2012, which now extends obligations to identify the beneficial owner(s) to all relevant entities except for general partnerships. Provisions requiring entities to hold and register information on their beneficial owners. Isle of Man has successfully exchanged both legal and beneficial ownership information in practice. The Isle of Man also addressed a weakness identified in its practice during the last round of reviews, namely the sharing information received under an EOI request with the financial intelligence authority. In terms of exchange of information, the Isle of Man has been commended by peers for its highly efficient and cooperative EOIR practice.